NB Southern 2319 is a GP38-2 built in 1979. It came from the Sydney Coal Railway (SCR) as #225, formerly Devco, together with NBSR 2317 and NBSR 2318. It was repainted at NB Southern’s Dever Road Yard into the Sunbury yellow colour seen here. Initially it was painted yellow, with black and white stripes added later to match the Sunbury trucks. 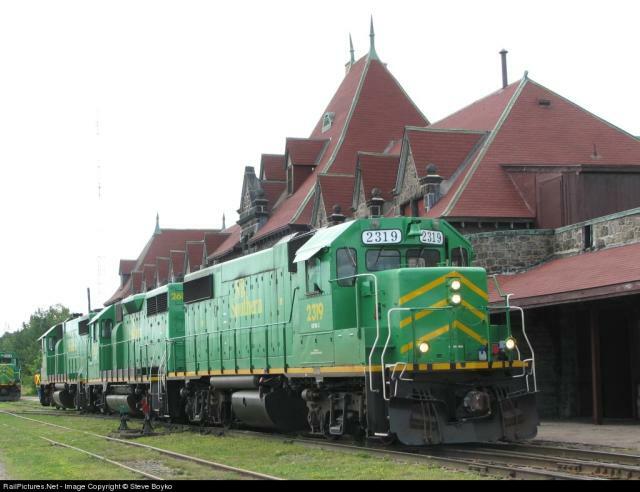 NBSR 2319 was painted again in the spring of 2007 to the same green scheme that most of the other NB Southern units use. 2319 headed up a special dimensional train on May 6, 2007. 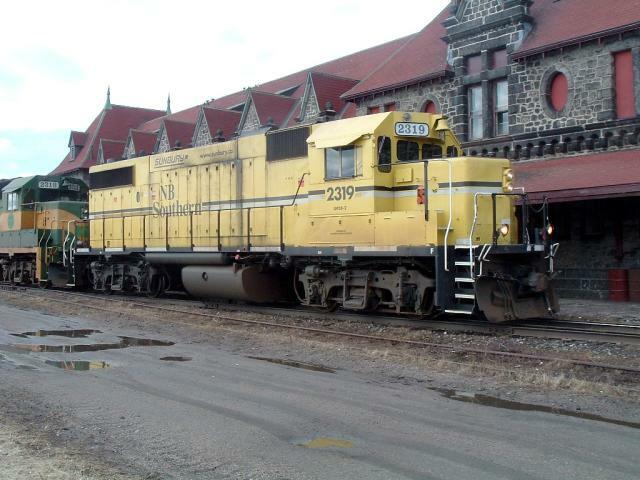 2319 in front of the station at McAdam, on July 28, 2007. 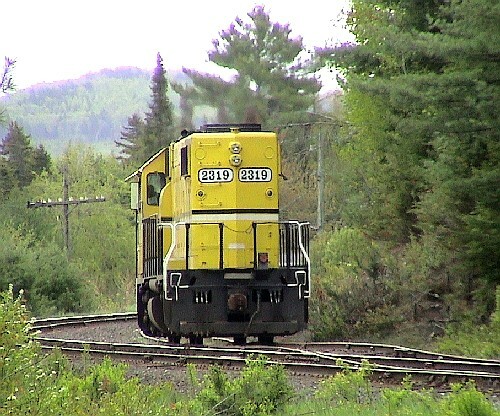 2319 at Welsford, NB on May 30, 2004. 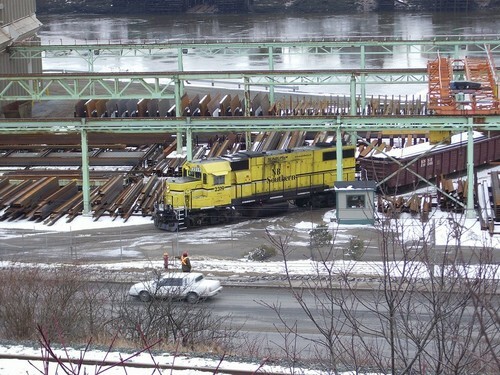 NBSR 2319 at McAdam, NB on March 11, 2006. 2319 switching Ocean Steel in Saint John. Photo by Bob Boudreau, used with permission. 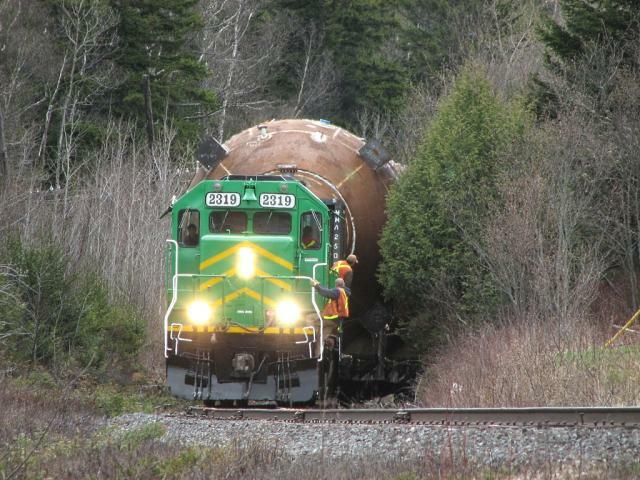 2319 running around the train at Welsford, NB on May 30, 2004.